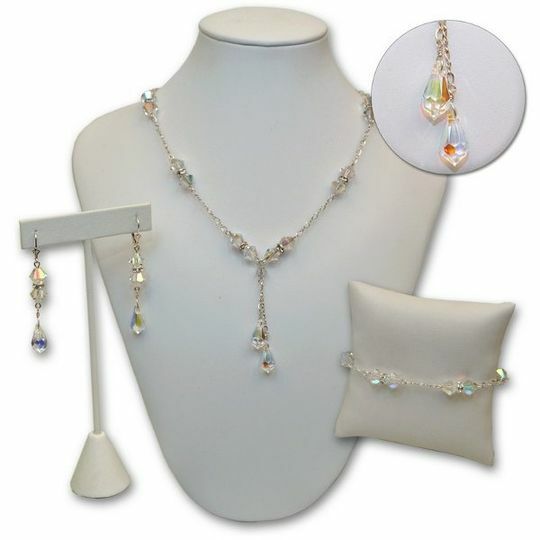 Silverland Jewelry & Gifts is well known for our superb collection of handmade bridesmaid jewelry, bridal jewelry, wedding jewelry and flower girl jewelry that will last a lifetime. 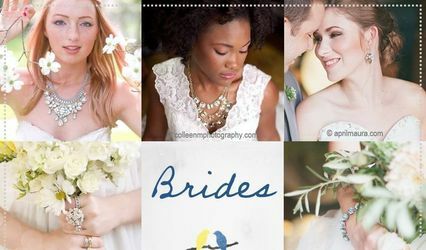 Our unique bridesmaids gifts are part of a fabulous line of custom wedding jewelry including handcrafted and handmade bridesmaid jewelry which can be made just for your wedding. 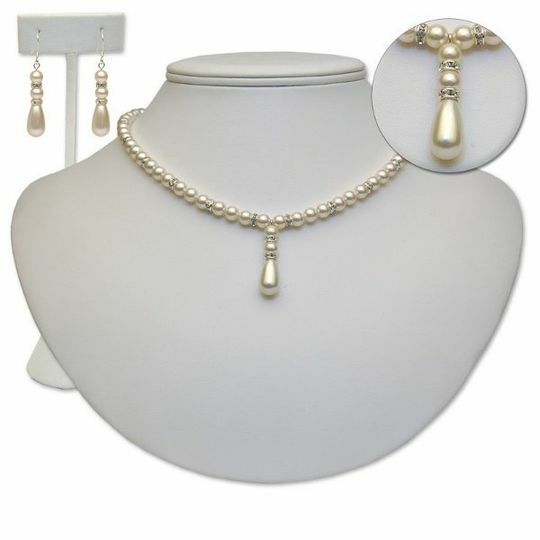 Select either pearl bridal jewelry or crystal wedding jewelry for the maid of honor, flower girl, groomsmen & mother of the bride Silverland carries the complete line of Swaovski crystals that we craft into fabulous jewelry for your wedding. We have an international reputation and have worked with over 10,000 brides to make each wedding unique and give the exact right statement for every member of the wedding paty. Our jewelry is handcrafted in Raleigh, North Carolina and is, therefore, a product of the USA. 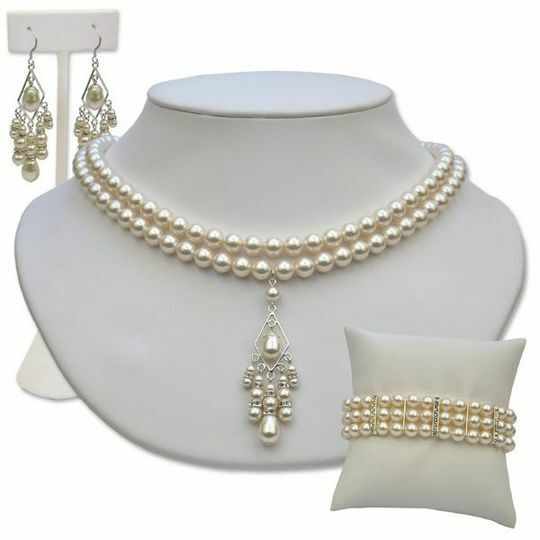 This has become a very unique attribute and adds to the value, beauty and significance of your wedding jewerly. 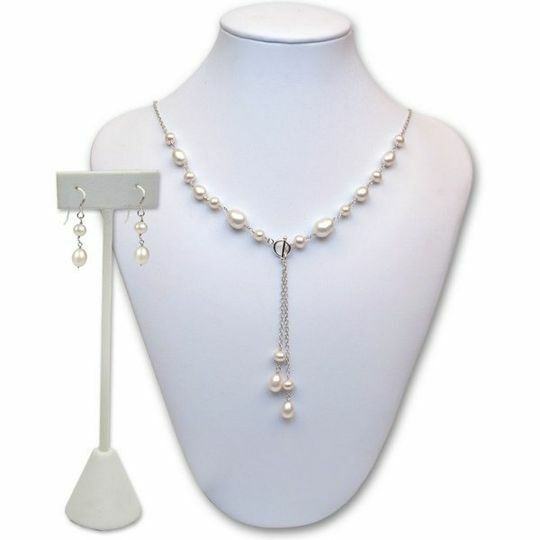 Taylor is a handmade cultured pearl necklace and earring set with teardrop pearls. Alyssa is handmade in our jewelry shops in Raleigh North Carolina to your exact specifications. 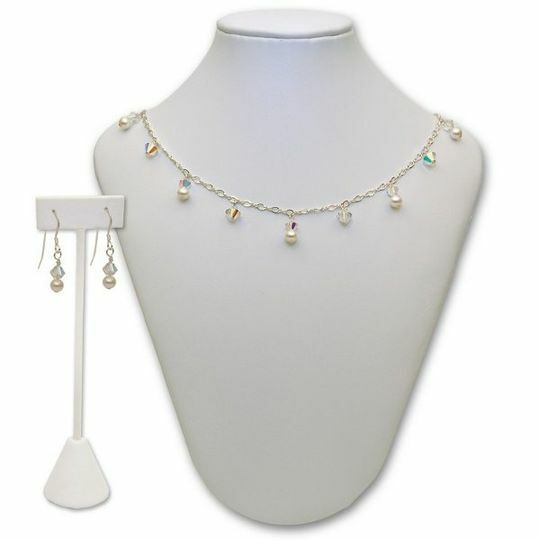 I ordered the jewelry for myself and my bridesmaid gifts from their website. I love that they send samples of the colors before you order, they even sent me a few extra to make sure the color matched my bridesmaid's dresses perfectly! 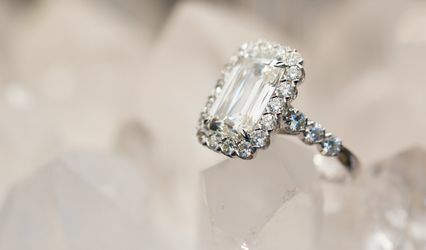 I cannot recommend Sydney and Silverland Jewelry highly enough to anyone looking for that perfect piece. They have plenty of pre-made items to choose from but I wanted something a bit different for my wedding. I worked with Sydney to design custom necklace and earring pieces for the ladies in our wedding party and a custom necklace for me. Sydney is by far one of the most helpful, creative, and lovely people I have ever had the pleasure to work with. She was able to transfer my thoughts into tangible pieces and kept me informed throughout the entire process. She spent countless hours with me designing my necklace to make it just right. I am thrilled that I found Sydney and Silverland to make my vision a reality.